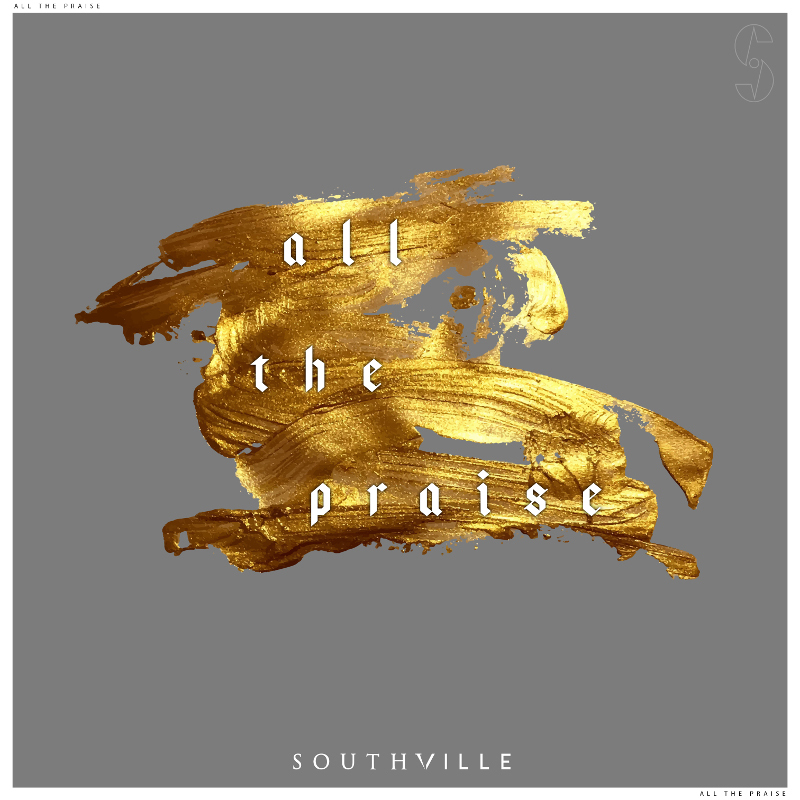 Off the back of an incredibly successful first album receiving universal acclaim worldwide, UK based group SOUTHVILLE return with their new single 'All The Praise'. LTTM spoke with worship leader Joel Hampton from SOUTHVILLE to find out more about the group and their plans for the rest of the year. For those who haven't heard of you before, can you tell us a bit about Southville and how you got involved in making music? Read More Off the back of an incredibly successful first album receiving universal acclaim worldwide, UK based group SOUTHVILLE return with their new single 'All The Praise'. LTTM spoke with worship leader Joel Hampton from SOUTHVILLE to find out more about the group and their plans for the rest of the year. SOUTHVILLE Music is a worship collective based in Yeovil, a small town in England. We are the music department of SOUTHVILLE Elim Church and have been writing together for about 4 years now. The idea for SOUTHVILLE Music was formed when Tim Williams, the worship pastor at the church, and Howard Davenport, our senior pastor, felt that we should be using the internet as a tool of evangelism. To make use of the untapped potential the internet has to reach millions with the gospel, we decided to start creating videos that were “a window on heaven”. When we enter in to worship our King, we join with Heaven in that worship, and so we found that this was the perfect “window on heaven”. However, we soon realised we needed some music with which to capture these worship moments; a sound and song that was unique to SOUTHVILLE. So instead of just having 1 or 2 people sit down and write 10 songs, we opened the project up to the entire church. We swapped some of our evening services for songwriting nights and invited everyone, old and young to come along and write. Out of this, the album ‘Freedom’s Tree’ was born. Tell us about the new singles you're releasing this year? We have 3 new singles coming out this year, all of which have come from the heart of our church yet again. We’ve locked onto the message of ‘praise’, and how worthy our God is of praise! We hope that these 3 will resound with people. No matter what their walk of life, or their current circumstance, giving praise to God even when it makes no sense to, silences the enemy in our lives and liberates our soul. There are a couple of lines in the chorus of ‘With All the Praise’ that say, “With all the praise I have I’m crying out Your name. With all the strength that’s left I’ll lift my hands again.” We love this lyric, because it declares that no matter what strength have left, whether I’ve been through the valley and I have run out of strength, or I’m on the mountain and I’ve never felt more alive, I will give God all that I have left. We pray that these songs are heart cries, not just words on the tongue. Last year you released your 'Freedom's Tree' album, how have those songs been received when you play them live? ‘Freedom’s Tree’ has been more successful than we ever dreamed. We’ve seen and heard testimony after testimony about people who have been simply blessed, and still others who’s hearts have completely changed and turned to the Lord. At one worship night we did, we heard of a lady who had come who was not a Christian and hadn’t ever believed in God, but she decided to come along to this night. She described how as she sat and listened to these songs she’d never heard before, she quite literally felt the presence of Jesus sitting next to her and wrapping his arms around her. She walked away that night having had an encounter with Jesus, who she’d never met before, and nobody had even prayed for her, or pushed her to meet Jesus. He simply came as we played and that, we feel, has been the overall feedback. It’s been incredible to see how God takes these songs that say what a person is feeling, and uses them to change that persons life. All in about 4 minutes! I think if you asked everyone here that question, they’d probably all give you a different response! The beauty of involving a whole church in writing an album, is that you get the influence of so many people, and so we’ve had the privilege of working with so many incredible songwriters already. But, if personally I had to choose, I would love to be able to work with Phil Whickam. He has a great knack for turning scripture into a beautiful picture that blossoms as you listen. He is excellent at finding metaphors for God’s glory in creation, and it makes his songs more like poetry than pop worship. I would describe our style as Contemporary Worship. Our songs don’t have a cryptic message that you have to pry out of the song by listening to it multiple times. They simply are the cry of the human heart to God. Our music has a fair amount of Gospel influence. Our producers, Jonathan and Enoch, are part of a group called K Collective, which has it’s roots in gospel too, so we’ve embraced that and there are a few things you’ll notice have that flavour. Success for us is more of God and less of us. We’ll never define our success by how many albums we sell, but by how many lives are saved, and we’ve already seen hundreds of lives saved through this album, so our ‘career’ has already peaked in success. There is no higher call than stopping for the one. It’s what Jesus did, and if everything we’ve done was just so that one life would be saved, then we have been successful in our mission. My favourite album of all time has probably got to be 'United We Stand' by Hillsong United. Growing up, that album was what inspired me to pursue worship. While I now have the privilege of being a guitarist here at Southville, my first instrument is drums, and I learnt to drum by playing along to albums like this, especially this one, so there's a lot of sentimental value attached to it for me too. Well if it’s hot and I’m stuck, it’s got to be ‘Rain Down’ by ‘Delirious?’. What does the next year hold for Southville? Over the next year or so we’ll be releasing a few more singles at the same time as writing for album number 2, which we will be releasing at the end of 2019. We will be touring occasionally and you can check our tour dates on our website www.southvillemusic.co.uk to see if we’re coming to somewhere near you! You can also purchase the album or our merchandise, and download all the resources for our songs from there. We can’t wait to see what other amazing things God has in store!